The American Kickboxing Academy is one of the countries most renowned gyms, and has housed some of the sport’s biggest names during it’s some-30-year history. Some legends and well known faces associated with AKA include BJ Penn, Josh Koscheck, Jon Fitch, Andrei Arlovski, Anthony Johnson and Frank Shamrock, but to name a few. Perhaps never more so than today, the San Jose, California based gym founded by Javier Mendez has always been a powerhouse of talent, and 2015 could well be the best year ever if things go to plan. Cain Velasquez really brought the focus of the MMA world on to the wrestler-heavy gym back in 2010 with his dominant title win over Brock Lesnar at UFC 121. Since then, the legend has simply continued to grow, and the current crop of talent at the Californian fight facility includes nine active UFC fighters, a UFC champion in Daniel Cormier and undefeated Bellator boss Liam McGreary. The number of major MMA champions at AKA could double by year’s end, with Velasquez looking to get one over on Fabricio Werdum at some point in late 2015/early 2016, and middleweight star Luke Rockhold getting his shot at Chris Weidman’s middleweight strap at UFC 194. 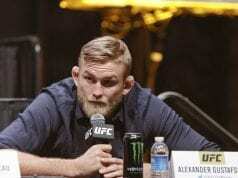 Light-heavyweight boss ‘DC’ will collide with Alexander Gustafsson at UFC 192, 05-pound title holder Liam McGregary will take on Tito Ortiz at the Bellator-Dynamite collaboration come September and also top lightweight contender Khabib Nurmagomedov is close to returning to action. The AKA brand recently extended their reach as far as Thailand, with a branch opening in Phuket, founded and co-owned by UFC veteran and AKA original Mike ‘Quick’ Swick. So AKA has a lot to gain or lose in the next half-year, so let’s take a look at the ins and outs of the Amercian Kickboxing Academy’s next three UFC title fights. 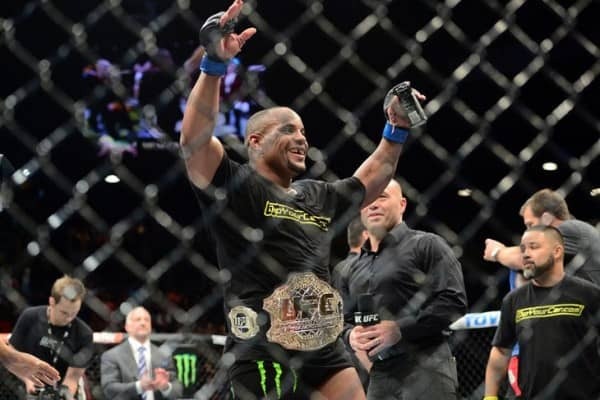 We’ll start with Daniel Cormier….